It’s almost a rite of passage for finances: You get a credit card. Many of us look forward to the first credit card. It seems like a big step, and it really is — if you want the credit score it takes to buy a house or a car at a good interest rate later on down the road. It’s important understand, though, that a credit card isn’t your money. It’s money you borrow from the credit card issuer. This means that you have to repay the money. While credit cards can be great tools for your finances, including helping you manage your cash flow, you do have to be careful, since it’s easy to fall into the debt trap. The most important tip for first-time credit card users (and for anyone) is to have a plan for your money. Create a spending plan, or a budget, and stick with it. Your credit card should be part of this budget. If you stick to your spending plan, you will be less likely to find yourself over-leveraged with debt. If you can’t afford it in your budget, don’t use your credit card to buy it. If you are using your credit card within the confines of your budget, it shouldn’t be a problem to pay off the balance each month. You should pay off your balance every month in order to avoid interest fees. Carrying a balance results in interest, and that can start to add up and eat away at your wealth. Make sure that you can pay off what you put on your card. A credit limit increase can seem like an exciting reward. For many first-time credit card users, the initial credit limit is often between $500 and $900. However, after a few months of responsible behavior, you might receive a higher limit. I remember how excited I was when the credit limit on my first card was bumped to $1,200 from the initial $800. I forgot that this wasn’t my money. I didn’t magically have a higher income to pay off the larger amount. While a credit limit increase can help your credit score due to a better-looking credit utilization, you shouldn’t spend up to your new limit. The interest rate on cash advances is often higher than your purchase APR. On top of that, you might be charged a fee for the cash advance. Plus, if you get the cash advance at an ATM, you’ll have those fees to pay as well. A cash advance can quickly become an expensive proposition. Live within your means so that your bank account can be the source of needed cash. One of the most important things you can do is to pay your bill on time and pay at least the minimum. Late fees can add up quickly, and last payments don’t look good on your credit report. In fact, your payment history is the most important influencer of your credit score. 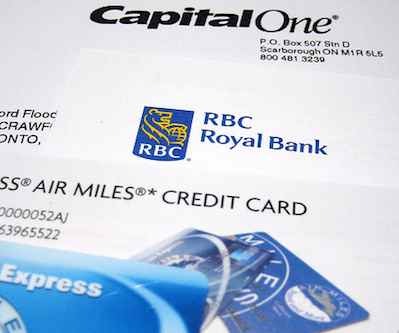 If you want to keep up with the changes to the terms and conditions of your credit card, you need to pay attention the materials your credit issuer sends you. Don’t ignore the new credit agreements. Issuers have been providing notice to add annual fees, and increase other fees. If you want to know what’s happening with your card, you need to pay attention. Remember to keep your credit card information private. Don’t give out your account number — or other information — to people who ask for it online via email or chat, or who call you and ask for it over the phone. Only provide information to those you actually contact for a specific purpose. When using your credit card online, verify that you are on a secure site before entering your credit card information. Actually, in many cases a credit limit increase is a bad thing. It encourages you to take on more debt that you can reasonably afford. It makes self discipline more challenging for many people. I agree that having a higher credit limit is better since your debt to credit ratio is better. Great tips, Miranda! #2 is definitely a must. I used to pay off my balance immediately after each purchase (using my smartphone), but now I pay if all off at the end of each month. That way I’m earning interest on my savings the whole time. A really great way to build a solid credit history is to use your credit card only for purchases you would make anyway. For example, set up all recurring expenses to be billed to your credit card, and pay them off as you would with cash or check. I use my card for auto insurance, utility bills, etc.. I need to pay those things anyway, and this allows me to build credit, rack up rewards points and not over spend while doing it! Credit limit increase is highly valuable to individuals with small enterprises. 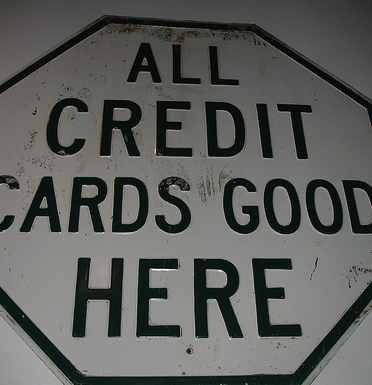 One way to rack up your credit score is to have your usual monthly bills charged to your credit card. To name a few we have telephone bills, auto/health/life insurance and electric bills. Make spending plan and stick with it is often feel difficult. Many people are easily tempted to shop. Moreover, if we are going to the mall and loking at the great products in promotional pricing, we are always interested in buying it. And it turns out, our purchase has exceeded reasonable limits. It is often the case, including myself. Pay twice a month. By doing this you will end up paying much less in interest charges. If you pay more frequently you will save loads because the interest will be charged on a smaller amount, less frequently. If you pay off your balance every month then paying twice a month is pointless, since you aren’t paying interest anyway.